You might have seen shady smugglers in movies, as they are done with the conversation, dumping their phone in the dustbin, never to be used again. Such phones, causing its user to be hard to track and thus elude the law enforcers, came to be known as burner phones. These are just phone numbers which you can use temporarily. They can be disposed of once the job is done. The concept of using a decoy number or a proxy, though sounding deceptive and criminal on the outside, can be a useful tool to diminish vulnerability. Being aware of the fact that ordinary people, like us, can make use of such concepts as well through disposable phone numbers might make some of your matters easier. Many websites, such as Burner, legally provide such phone numbers at reasonable costs which anyone can maintain for a limited time along with the personal phone number. Mind the word 'legally', because the numbers are susceptible to the scrutiny of the law and you might get caught if you try to do something nasty. So my advice would be- Don't! On the contrary, 'burner phone numbers' may be used in myriad constructive ways. Think of the time when you were asked for your phone number on a website or by a person that was not trusted, but you had to give it because that was the only way to get the OTP or subscribe to a service. You knew that divulging your contact number might bring a horde of irrelevant and annoying calls and messages on your phone or spam emails in your inbox. In such cases, just give your disposable number, and do away with your worries! Let this number be available to formal or temporary contracts like buyers at OLX or Craigslist, contacts at dating sites, suspicious websites where you're getting the crack to your software or anywhere you think might be too risky to give away your actual number. You shall be able to disown the crisis readily if an adverse situation occurs. You may even be kind to your loved ones, and save them some money. If you live abroad, buy a burner number local to your relatives. 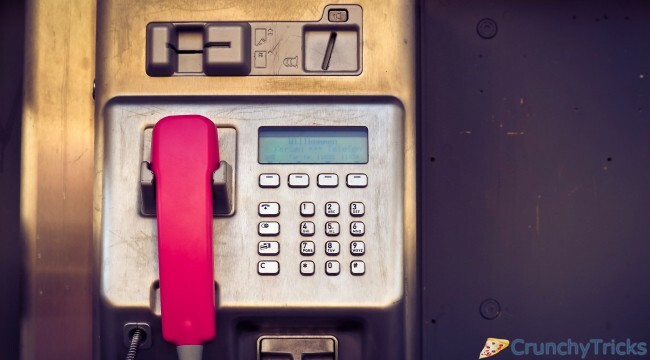 When they dial up the number, it'll be a local call for them, though you'd receive it thousands of miles away and they'll be charged accordingly. Wonderful, isn't it? Disposable phone numbers act as an intermediary, forwarding calls and messages to your phone number. Moreover, if your phone has stopped working, you may rent a disposable number to carry on your business conversations. In some cases, a number may be linked to multiple phone numbers and may be used for broadcast as well. In cases where burner numbers may be controlled through the internet, you may use your other devices such as Tablets and PCs like a phone. Disposable numbers are quite helpful if you chose to use them in a right way. You just require the website addresses where you get numbers of this kind. Here you shall find a list of sites which provide Indian disposable phone numbers for free. This site offers a collection of disposable numbers which may be connected to different networks and are free to use. You just have to pick a number with less activity. Here, you have the numbers you can send text messages to, and these will show up on the web for you. To avail a virtual phone number, just select one of the figures listed, enter it for verification on Gmail, Facebook, Paytm or anywhere and click the number page and request refresh to read the SMS that you have received on that figure. One of the facilities that Twilio provides is the Masked Phone Numbers that can be used to protect private information on the phone. This site contains some numbers which you can enter at a suspicious site to get the OTP and read the SMS back on the site, without revealing your actual phone number. However, to buy a dedicated number you'll have to contact them. Various features on this site, apart from using their list of numbers are call on PC, receive free SMS, etc. Just select a number and read the SMS on the number. Apart from the basic functioning of a disposable number site, you can detect the activity status of the numbers listed. The numbers that are active are marked with green, and those inactive marked with red. Another trusted site to provide free numbers. The virtual numbers on the site are "Free, Private and Temporary". The messages on the numbers are deleted every 24 hours, and the numbers are refreshed every month. With the phone numbers provided on this site, you can remain anonymous and get your One-Time-Passwords without a hassle! The numbers on the site are nearly always online and ready to use. Last but not the least, this website also helps you to choose disposable number available for different countries. The website is updated frequently for new numbers. So these are the sites for employing disposable numbers and using them to get your job done the easy way!